Description : Divine Shield. Taunt. Deathrattle: Equip a 5/3 Ashbringer. 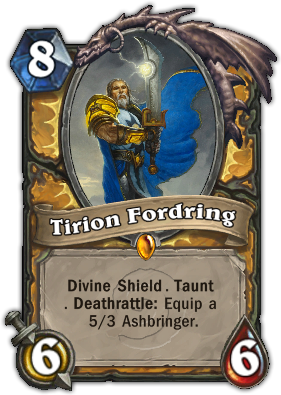 Quote : If you haven't heard the Tirion Fordring theme song, it's because it doesn't exist.